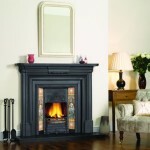 Even if your house has a modern 22″ high 16″ wide (560 x 405mm) chimney opening with a Milner tapered firebrick, you can install a Victorian tiled fireplace with a Stovax front. 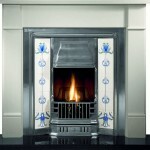 Once in place, it is virtually indistinguishable from a full insert and is available with exactly the same choice of finishes, hood styles and tiles. 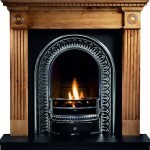 A 16″ tapered fire grate for use with solid fuels is an optional extra. 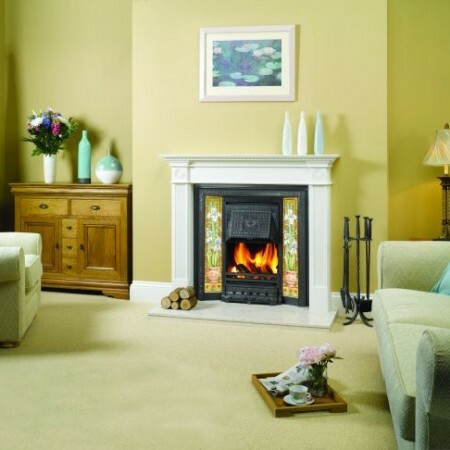 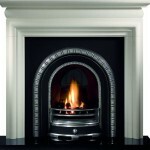 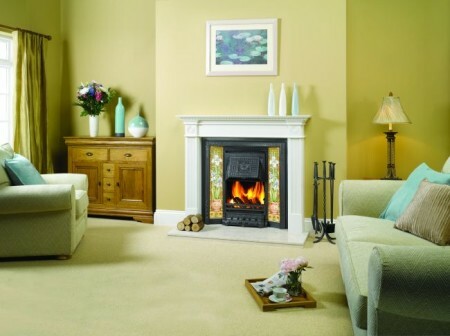 Gas fire options are also available.